After making my easy no churn Mint Chocolate Chip Ice Cream, I knew I wasn't the only mint fan around here. 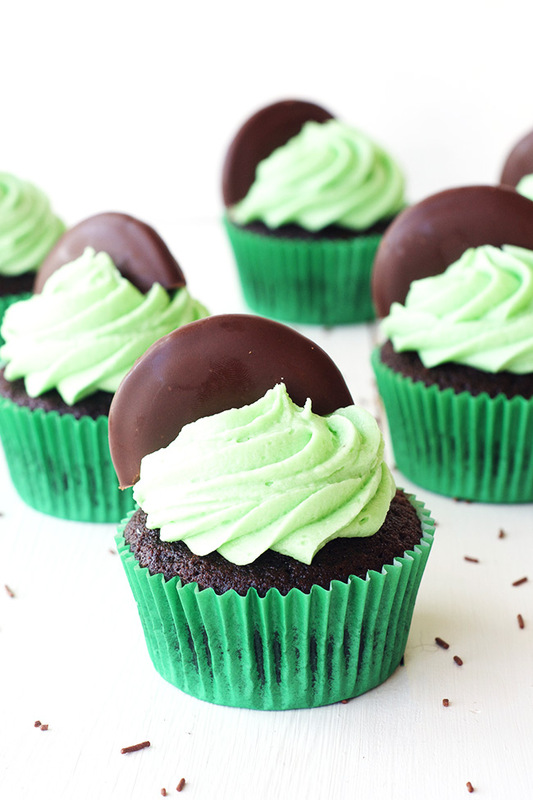 So it was only a matter of time until another mint chocolate treat came out of the Sweetest Menu kitchen. What i love most about these delicious cupcakes is they are actually really easy to make. There's no complicated fillings or frostings, just a simple chocolate cake and an easy mint flavoured buttercream. Yet they are still striking and will be a welcome addition to any dessert table.